At SafestPokerSites.com, we pride ourselves on writing the most honest online poker reviews. Many other sites are blinded by greed and will convince their visitors that every site is amazing and a safe place to play just because a poker room pays for preferential ad placement. This is not what we do – We tell it like it is. Most online poker rooms have baggage. That does not mean they are all rogue. The difference between a safe online poker room and a scam is how the operator handles an adverse situation. This is usually a sign of how a poker site will act when things get tough. The reviews at Safest Poker Sites display the positives and negatives of each room. There is no perfect poker site. It is up to the player to choose the best real money poker sites with the information we provide. Some prefer large sites with big game selection. Others prefer smaller sites where there are more fish. The reviews you see here are exactly the way we would describe the online poker room to our friends. One of the best features of our site is that we tell you when a real money poker site is not safe. 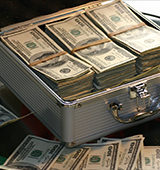 We report shady activities in our Online Poker News section and in the poker site reviews. Think of it as a free poker watchdog service. We review the withdrawal speeds at all real money poker sites that accept U.S. players. We call it the U.S. Poker Payout Report. We report each cashout option available, as well as the speeds and fees. We give each poker site a grade and future outlook. We also include warnings for poker sites that appear to be struggling to meet their financial obligations. Is It Safe to Play U.S. Online Poker? Let’s be honest here, we all want to play online poker. That is why poker players got together and built this website. We want to play online poker and tell others about it. There is a small degree of risk with any online poker room that accepts U.S. players. With that said, there are still several great online poker rooms that accept U.S. players. Safest Poker Sites recommends BetOnline as the safest poker site for US players. We currently do not recommend playing at Full Flush Poker. The general rule seems to be that the more issues a poker room has experienced in their past, the fishier the games will be. As a poker player we all know about risk and reward. The level of risk that you are willing to take is up to you. Is U.S. Online Poker Illegal? We are not lawyers here but we do know that no online poker player has ever been charged with playing their favorite game. Some poker rooms have gotten in trouble in the past but most of the crimes that they were accused of involved their banking, not the actual act of offering online poker. The poker rooms currently serving the U.S. market have shown that they have years of experience in operating online poker rooms. This includes payment processing. Delaware, Nevada and New Jersey have licensed online poker sites. Delaware operates an online poker network in a partnership between the Delaware Lottery, 888 and the state’s three racinos. Nevada licensed WSOP and Real Gaming, while New Jersey has licensed most of its Atlantic City casino operators. Safest Poker Sites not only provides new players with a guide on how to get started playing online poker, but also important provides the information you need in choosing an online poker site. Whether it’s up-to-date information on deposits and withdrawals, honest poker room reviews or even information on failed poker sites, you can feel confident that you are getting the best information. Getting money onto a poker site is the key to getting into the action. There are several steps players can learn that will make the deposit process quick and easy. The best way for U.S. players to fund an online poker account these days is with Bitcoin. It is accepted by all major sites. Most sites do not charge a fee on Bitcoin deposits and some process free withdrawals when players use the cryptocurrency. While Bitcoin is the most convenient option, many poker sites accept credit cards and cash transfers. Some may also process a bank wire upon request. It is more convenient for players outside North America to make a deposit. Ewallets are common in Europe, Asia and Australia. These include Neteller, PayPal and Skrill..
Safest Poker Sites tests all major poker sites so that you do not have to do it. This way you can get the information you need to pick the site that best fits your needs. That is not always the largest poker site. Some players prefer smaller sites because the games or looser or the promotions more lucrative. Some poker review sites fluff up poker rooms because they get paid by the site to do it. That is not how we operate. We go over the positives and the negatives involved with every online poker room that we review. Some poker rooms have terrible customer support, poor software or take too long to pay players. We are not shy about sharing that information with our visitors. We even go so far as to find smaller things that may only bother very serious players. We want you to have the best information available before signing up at a poker site. Collectively, the staff at SafestPokerSites has decades of experience in the online poker world. With our detailed reviews and information, we strive to provide you the most reliable informative analysis that you can use before signing up to a poker room. Safest Poker Sites reviews are gathered using the latest information available on a poker room’s bonuses, VIP program, promotions, games, tournaments, payment processing, general information and more. We grade poker rooms using a variety of scores. Not only do we provide analysis on the quality of a poker room, but we also give you the details behind the grades. We put a strong focus on the safety and payment processing of a poker room, two of the most important aspects of playing online poker today. At Safest Poker Sites, we make it a priority to keep our reviews up to date and relevant to the modern online poker player. If we aren’t meeting your needs or you are having a problem with a poker room, please don’t hesitate to let us know. Providing our visitors with frequently asked questions and answers to some of the most common questions, problems and complaints about a particular poker room. What are the Safest Poker Sites? Out of hundreds of online poker rooms available on the web, which ones stand out from the rest? Take a look at our list of online poker reviews for the poker rooms we recommend you consider when deciding where to play. Part of our goal is to educate players so that they will not choose to deposit at a site that is in danger. The unfortunate truth is that there are poker sites that go out of business. Some pay players when they shutter. Most do not. We devote an entire section of our site to poker sites that failed. We go over the history of the business in question and determine what made it fail and what warning signs were there that players ignored. We invite you to read the entire Failed Poker Sites section because we feel it is important to know how sites go bust so you can avoid ones that are in dire financial situations. The easiest way to get started at real money online poker is to make a deposit. This may be done through Bitcoin, cash transfer, Visa, Mastercard and a variety of ewallets, depending on the country the player resides. Some players may not feel comfortable diving right into real money poker tables. There are some alternatives. Players may start at free play tables. This will help beginners get a feel for the software. Most poker sites offer freerolls. These are tournaments that require no money for a buy-in. These are completely free tournaments. While it costs nothing to join a freeroll, there is a cash prize pool. It can range from a few dollars to $1,000. Some sites may offer free tournament tickets and a few dollars to new players. These are ways to get started without having to make a real money investment. Most poker sites we review involve real money gaming. This means cash is at risk. We researched every room to find out about its best bonuses, VIP programs and promotions and put it in our Real Money Online Poker Guide. We also tell you what games are offered at each site, as well as the types of tournaments and sit and gos. Many players find this to be the most important information when choosing a real money online poker room. Are offshore online poker sites licensed? Every poker room that we feature on SafestPokerSites is licensed and regulated in their jurisdiction. We list all major licensing jurisdictions on our Online Gaming Commission page. Each of these licensing countries has their own regulations on how to handle online gambling in their country. These sites operate legally in the country that they are located. Each secure poker room offers a direct connection to your computer from their host country. Is it still profitable to play U.S. online poker? There are still thousands of players playing online poker in the U.S. that are winning. These players are combining their skills with bonuses and VIP programs to make a living. Some are bigger winners than others, but if you have the skills and understand the bonus and VIP structure, you can still win. It all depends on how much you risk and how big your bankroll is. What types of poker games can I play on U.S. sites? We all know that No Limit Texas Hold’em is available at U.S. online poker rooms. Other games are alive and well too. If you miss playing Seven Card Stud and Seven Card Stud High/Low then you will be happy to know they are available at Winning Poker. BetOnline spreads a large amount of Pot Limit Omaha and Omaha High/Low. You will find unusual games like Badugi, 2-7 Triple Draw, A-5 Triple Draw, and a variety of mixed games at PokerStars. The best place to start your search is the SPS ranking system. We include specific categories to help you determine the casino that is best for you. 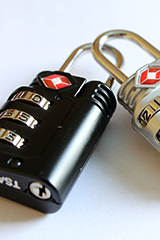 How can I make a secure online poker deposit? You will be happy to know that making a poker deposit is as safe as ever. The encryption process for credit card deposits is the same that is used for large U.S. retailers and banks. There is no risk in having your information intercepted on the way to the poker room’s server. Players that prefer to use cash to deposit have several options as well. How do I make a withdrawal from a U.S. online poker room? There are still several ways to safely receive a withdrawal from a U.S. online poker room. Carbon Poker will mail you a check. BetOnline will send a Western Union or check. True Poker and Americas Cardroom will send you a debit card that you can take right to an ATM machine and reload every time that you win. They will also mail you a check if you prefer. Ignition will mail you a check or send you a bank wire. Juicy Stakes and Intertops will mail you a check or process a bank wire when you request your winnings. Can I use Bitcoin to deposit and withdraw at online poker sites? Every real money poker site that is available to U.S. players accepts Bitcoin. This is a cryptocurrency that trades like a commodity on an exchange. Players may purchase Bitcoin with credit cards or bank transfers. It may then be seamlessly deposited onto your favorite poker site. All major U.S. poker sites offer Bitcoin as a withdrawal option. Some charge a fee of up to 5% for these withdrawals. Intertops, SWC Poker and Ignition offer free Bitcoin withdrawals every time. BetOnline offers one free Bitcoin withdrawal each month. What if you Have a problem with one of your Partners? 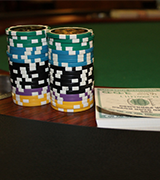 We work closely with all of the poker rooms that we promote. If you ever feel that you have had not had a safe or secure experience with one of our poker rooms, we will be happy to get involved. Feel free to contact us with any concern that you may have and we will do everything in our power to get it resolved. Yes. Because most games are browser-based, your operating system should not affect gameplay. The same applies for those who use a Linux operating system. What kind of bonuses and VIP rewards will I receive? Most online poker rooms offer some version of a VIP program that rewards their most loyal players. VIP rewards are offered in tiers and are unlocked as you play. The more a person wagers, the better their comps, cashback, and other perks will be. Reward benchmarks reset on a monthly basis.